A budget property nestled in the heart of Lake City, Hotel Shubh Laxmi is an ideal spot from which to discover Udaipur. The city center is merely 0.8 km away and the airport can be reached within 31 minutes. With its convenient location, the hotel offers easy access to the city's must-see destinations. 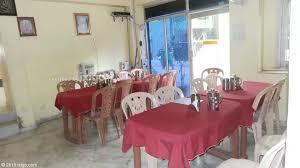 Hotel Shubh Laxmi has 22 rooms to its name to offer to their guests. You can choose from Deluxe and Standard to your desired comfort. The room facilities include that of satellite television, direct dialing telephone, and attached bathroom with hot/cold water and room service, doctor on call, same day laundry and restaurant. Disabled Facilities, Airport Transportation, Complimentary Newspapers in Lobby, Laundry Facilities, Currency Exchange, Backup Generator, Restaurant, Family/Child Friendly, Baggage Storage on Request, Safe Deposit Box-Front Desk. Air Conditioning Room, Complimentary Newspaper, Ceiling Fan, Balcony / Terrace, Child Care, Smoking Rooms, Refrigerator Room, Desk, Dustbins, Basic Bathroom Amenities. User reviews for "Shubh Laxmi Hotel Udaipur"